If you or a loved one has been injured in an accident, an experienced Personal Injury Attorney can assist in obtaining all relevant records, including accident reports. Accident reports contain basic but necessary information needed to begin a personal injury claim. Why Do Law Enforcement Officers Write Accident Reports? 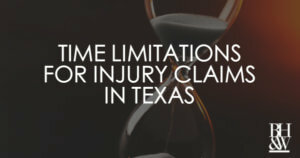 Under Texas law, a law enforcement officer investigating a motor vehicle accident must submit a written report of any accident involving injury, death, or property damage believed to be greater than $1000 within ten days of the date of the accident (Texas Transportation Code, Subchapter D, Sec. 550). If no injuries occurred, or if the damage to property was less than $1000, no report is required. Who Can Get an Accident Report? 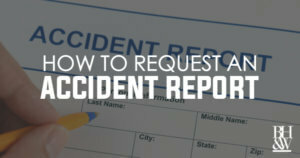 How Can I Get My Accident Report? 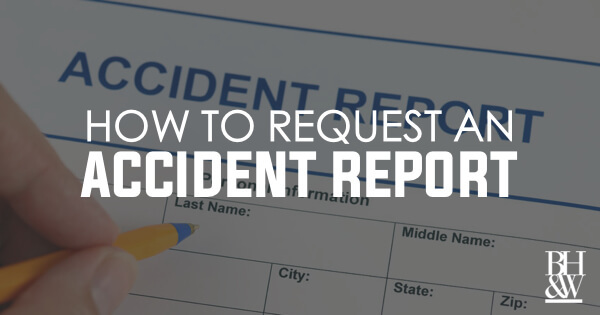 If you were involved in an accident, and an officer prepared a report, you may obtain a copy of your report by going to the website of the county, city, or municipality in which the accident occurred and submitting a written request. If an accident occurred outside city limits, you can go to the investigating agency’s website, i.e. Sheriff’s Office or Department of Public Safety. Be advised, you may be required to pay a fee for your report. Included below are some helpful links to various DFW city websites where you can request your report or find out more information. 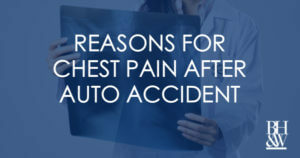 Accident reports are important in personal injury cases because they contain information about the at-fault party, their insurance company, and the responding officer’s determination as to how the accident occurred and who was at fault, all information that an attorney would need to begin pursuing a personal injury claim. If you or someone you love has been injured in an accident, an experienced personal injury attorney can help you obtain your accident report as well as provide you valuable information, support, and guidance while pursuing your personal injury claim. 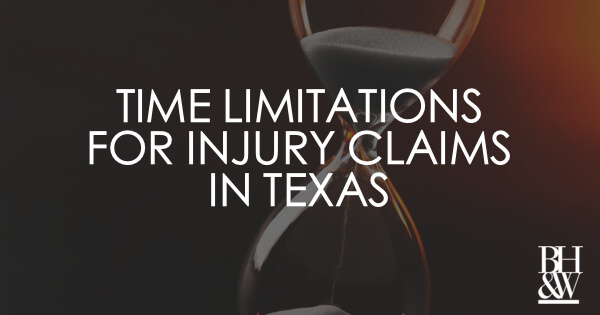 As a Fort Worth personal injury attorney, I have participated in hundreds of mediations where I represented victims of car accidents, work place negligence, defective products, assault, electrocution, and other manner of claims involving injury or death. In my experience, mediation may be the most effective tool for allowing all parties to best understand all aspects and perspectives about their case—the good, bad, and ugly—and to make an informed decision about whether to settle their case or move forward toward trial. (a) Mediation is a forum in which an impartial person, the mediator, facilitates communication between parties to promote reconciliation, settlement, or understanding among them. Unlike a judge or an arbitrator, a mediator does not have the power to decide a case or to enter a judgment or award. Neither can a mediator force the parties to accept a settlement. Rather, the role of the mediator is to help open the lines of communication between the parties in a confidential setting. 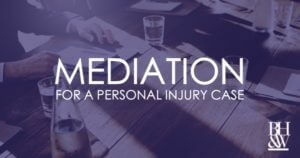 Mediations frequently begin with what’s known as a “joint session” or “caucus.” The plaintiff, his or her lawyer, the defense lawyer, the insurance adjuster, and the mediator will gather in a conference room. When meeting the defendant’s representatives, I encourage my clients to shake hands and politely introduce themselves. Once the introductions have been made, the lawyers may put on brief presentations emphasizing what they feel is important about their respective cases. The parties do not put on evidence and the plaintiff will not be asked to testify. The parties will then break off into separate rooms with the defendant’s lawyer and adjuster in one room and the plaintiff and his or her attorney in another. The mediator then spends time with each group getting to know the case and the parties involved. As a neutral third party with no stake in the outcome of the case, a mediator is in the unique position to offer a new perspective on the case. Good mediators will challenge the parties’ assertions and help them look at the case from different angles. At some point during the process, the mediator will begin to carry demands and offers from one room to the other. The party to make the first “move” will depend on whether a demand or offer was previously extended. If the plaintiff made a demand to which the defendant never responded, the defendant should make the first move and vice-versa. Each party will respond with a counter-demand or offer of their own until the case either resolves or the parties reach an impasse. Over the course of the mediation, the mediator will push both sides to consider potential weaknesses in their own cases while acknowledging the potential strengths of their opponents’. With each round of offers and demands, the gap between the parties will, ideally, begin to narrow until the parties are able to come together on a final number to settle the case. What Happens if My Case Settles at Mediation? 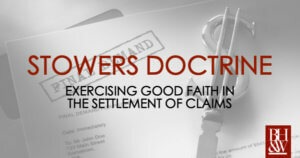 If mediation is successful, the mediator will prepare an agreement for the participants to sign that generally sets forth the basic elements of the parties’ settlement agreement with the understanding that a more detailed and thorough agreement will be prepared by the lawyer for the defendant, subject to modifications made by the plaintiff’s lawyer. However, a mediation agreement is enforceable once signed, and either party to the agreement may require the other parties to be bound by its terms. The mediation agreement will generally include a time frame for the defendant or its insurer to deliver checks to the plaintiff’s counsel for distribution. 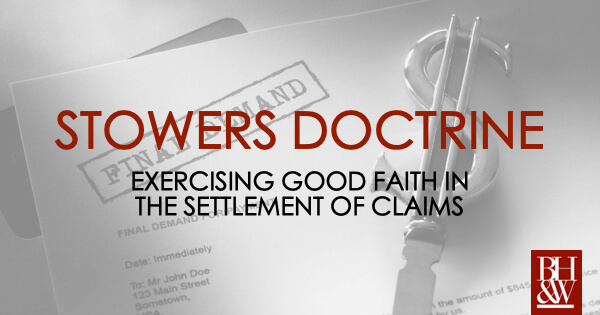 It is not uncommon, however, for this process to be delayed in order for the plaintiff’s lawyer to negotiate hospital liens, subrogation interests from health insurers, and outstanding medical bills. What Happens if My Case Does Not Settle at Mediation? When the parties are unable to reach an agreement at mediation, the mediator may make what is referred to as a “mediator’s proposal” in which the mediator proposes a settlement amount to each of the parties. The parties are instructed to confirm to the mediator by a certain date whether they accept or reject the proposal. The parties’ decisions to accept or reject are kept confidential and made known only to the mediator. Mediator’s proposals can be an effective tool when more time or settlement authority is needed to bring the case to a close. Mediators will generally make a proposal only in cases where they feel there is at least some chance that both parties will accept. When the gap between the parties is too wide, a mediator’s proposal is unlikely to work and the parties are free to continue litigating the case or they may choose to continue negotiations with or without the assistance of the mediator. Depending on the case, the parties may choose re-mediate as the case gets closer to trial and fewer unanswered questions remain. Even when a mediation fails to resolve the parties’ disputes, it has been my experience that almost all mediations are worthwhile experiences. The parties generally walk away from a failed mediation with a better understanding of the main issues in their case and are better able to focus their efforts going forward. When we think of extreme weather in Texas, we generally think of severe thunderstorms, hail, wind, and tornados, but ice storms can be just as dangerous and damaging. There’s also a human factor when snow and ice hit Texas that increases the likelihood of severe injuries and even death-the untrained, inexperienced, and careless driver. A Federal Highway Administration report states that on average, icy roads cause 151,944 vehicle accidents, 38,770 crash injuries, and 559 crash fatalities a year. 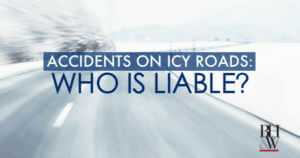 These ice-related accidents produce roughly 11% of all weather-related accidents in the country. This is alarming because it shows how dangerous icy roads can be, but it should also alert you to the possibility of personal injury or property damage if you decide to drive in icy conditions. February 22, 2018 – Winter Storm Oliver hits hard, causing damage and accidents across U.S.
That breach causing damages to another person (property damage, injuries, or death caused by a car accident). Every driver has a basic duty to other drivers to drive safely and not collide with anyone. This requires them to drive as a reasonably prudent person would drive in the given situation. When they breach that duty, or collide with another person or vehicle, they may be liable for the physical or financial damages they caused. But what if the roads were icy and the driver lost control? Drivers are expected to take note of weather and road conditions and adjust their driving accordingly. When the temperatures are near or below freezing and precipitation is present, there is a strong possibility of ice on the roads. Because a driver should know of the chance of icy conditions, they should drive as a reasonably prudent person would drive on icy roads. Blaming the ice will not work if the driver crashes into another car on the road. Avoid hills, bridges, and low spots if you can. If you are hit by a driver who was driving in icy conditions, even if they lost control, they may be liable for negligently driving. You should contact your attorney with the accident report and any other information from the accident to help work through your options. For more winter weather driving tips, click here. 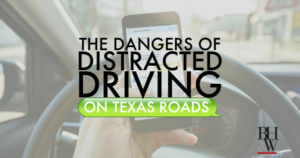 *drivetexas.org is run by the Texas Department of Transportation who also posts on social media outlets. Using natural gas in your home can be very beneficial: it is more efficient than electricity, coming at cheaper cost, while getting more work done. However, gas does have some dangers associated with it. Natural gas is highly flammable and sometimes undetectable to the everyday person. This can lead to fires or even explosions in the home, causing thousands of dollars of damage. Natural gas is believed to be the related to a recent explosion at a home in Dallas. Current reports indicate that one person was tragically killed and others severely injured. Neighbors have evacuated their homes, while the city and the gas company look into the problem. Initial reports indicate that the explosion occurred near a gas heater in the house. According to NBC DFW, the explosion prompted the evacuation of over 700 students from nearby Stephen C. Foster Elementary School. For information on the Railroad Commission of Texas’ Gas Services, click here. Pipeline Investigations from the National Transportation Safety Board, click here. If you have suffered injuries or the loss of a loved one caused by a fire or explosion, it is important to know your rights. Following a fire or an explosion, an investigation should be done to determine the cause of the incident. Depending on the cause, there may be several liability issues to address. For instance, faulty or leaking gas lines may implicate the utility company. 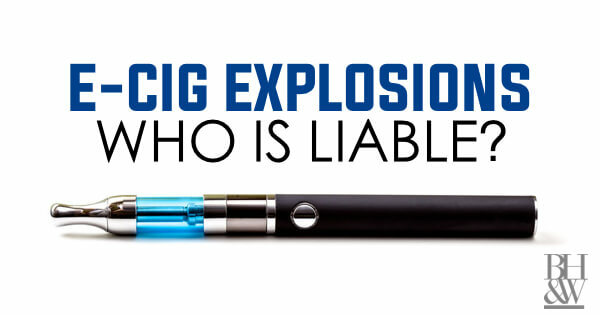 If defective appliances contributed to the explosion, the sellers and manufacturers may be liable. These are complicated liability issues that should be discussed with your attorney. 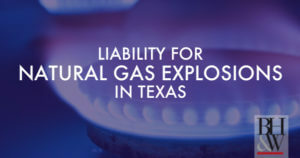 Should you have damage from a fire or explosion that is caused by natural gas, contact your attorney to work through investigation and discuss your course of action. Since the invention of cellphones and the growing popularity of texting, car accidents resulting from distracted driving have increased year after year. According to the National Highway Traffic Safety Administration (NHTSA), distracted driving claimed 3,477 lives and injured 391,000 people nationwide in 2015. 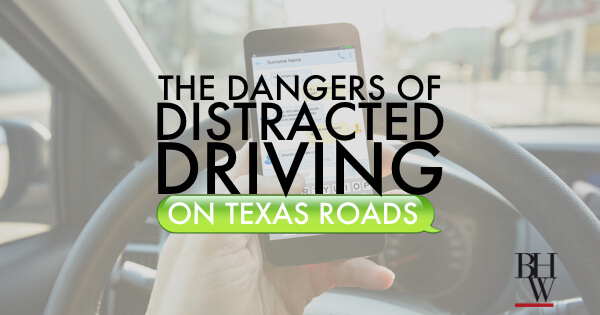 The Texas Department of Transportation (TxDOT) reports that 1 in 5 crashes in Texas are caused by distracted driving. This is a nationwide issue that is taking the lives of Americans every day. However, distracted driving is an issue that can be prevented. The NHTSA defines distracted driving as “any activity that diverts attention from driving.” There are three types of distractions, according to DMV.org; visual, manual, and cognitive. Visual distractions involve taking your eyes off the road, for example looking at something in the vehicle or an event taking place on the side of the road. Manual distractions include removing one or both hands from the steering wheel, such as adjusting the air conditioning controls or radio. Cognitive distractions take your mental focus and attention away from driving, for example, day dreaming or deep thinking. Common distractions include eating, drinking, smoking, talking on the phone, talking to a passenger, adjusting the radio or air conditioner, looking in the mirror, applying makeup or shaving, watching a video, responding to emails, and texting. Using a cellphone or texting while driving is incredibly dangerous because it combines visual, manual, and cognitive distractions. To send a text while driving, a driver takes his eyes off the road to look down at his phone screen, he takes at least one hand off the steering wheel to hold the phone, and stops paying attention mentally to think about what he is typing. Looking down at the phone just for 5 seconds while going 55 mph means that the vehicle traveled the distance of a football field without the driver paying any attention. In that distance, many things can happen, including an accident with devastating effects. In Tarrant County alone, distracted drivers were responsible for 8,210 crashes, 23 of which were fatal crashes in 2016. If the driver is under 18, they cannot use a wireless communication device. A bus driver may not use a wireless communication device while operating the bus if a minor is present. All drivers are prohibited from using handheld devices while driving in school zones. Exceptions to these laws exist for cases of emergency, reporting illegal activity, using a hands-free device, using a global positioning system, playing music, or when the device is permanently affixed to the vehicle and is part of the operator’s duties. Before you start driving, enter your destination into the GPS, adjust the air conditioning, find the right radio station or queue up your songs, and send your last text or email. Secure loose objects that might roll around once you start driving so you aren’t temped to reach for them and so they don’t roll under your feet. Take care of grooming and eat at home. Get everything done before you start driving. If you absolutely need to respond to something, pull over to a safe spot on the side of the road. Recent iPhone software iOS 11 has a “Do Not Disturb While Driving” feature that can be manually or automatically enabled or be activated when connected to a car Bluetooth system. This feature can sense when you are driving and silences notifications such as text messages. It can even send an auto-reply to people who have messaged you, telling them that you are busy driving. Phone calls will only come in if connected to a Bluetooth hands-free system. The customizable feature can be found in the “Settings” app under “Do Not Disturb.” An app with similar functions is “LifeSaver,” which can be downloaded in the App Store or in Google Play. While we can only control our own actions, we can encourage those we ride with to avoid distracted driving as well. When you’re a passenger in a vehicle and the driver is distracted, speak up and remind them about the importance of focusing while driving. Offer to take care of the distraction for them. Politely tell them that you’re uncomfortable riding in their car while they’re distracted. Talk to your friends and family about the dangers of distracted driving and hold each other accountable. Hold yourself accountable by making a pledge not to drive distracted. There are many websites with pledges, some where you can donate to different foundations or dedicate your pledge to someone, such as the “Just Drive” pledge with the National Safety Council. If you or a loved one have been injured by a distracted driver, contact our personal injury attorneys for a free case evaluation. We have offices in Fort Worth and Keller or we can send one of our attorneys to meet with you if you have a difficult time traveling. We do not charge any fees for injury cases unless we win a damages award for you. Contact us today at (817) 993-9249 or send us a message. Are Uber and Lyft Liable for the Accidents of their Drivers? In the past couple of years, rideshare companies like Lyft and Uber have risen to prominence, grabbing a sizable market share from traditional taxi cab and town car companies. With more and more of these companies offering rides from their part-time drivers, we are also seeing accidents involving the drivers for these companies. 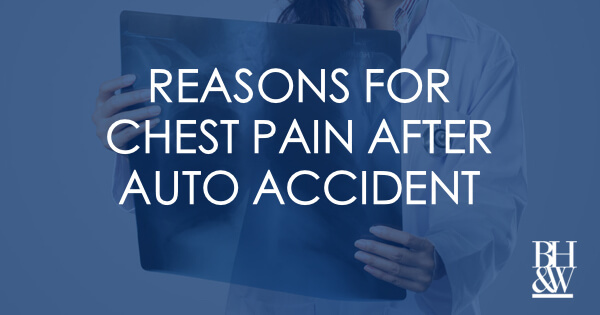 These accidents can sometimes have confusing liability issues that accompany them. 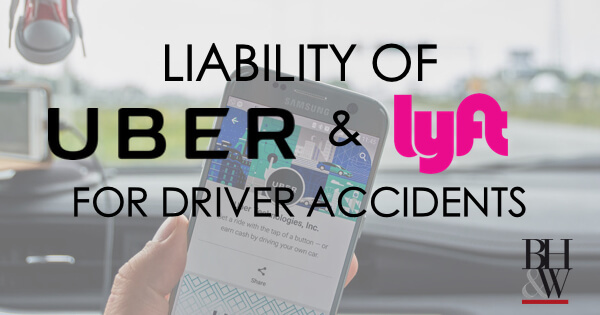 It is important to know how to proceed and what you are entitled to if you are involved in an accident with a rideshare driver, as a passenger or another driver. Can You Sue the Rideshare company? Who is Liable in a Lyft or Uber Accident? As with most legal questions, the answer is, it depends. Liability for an Uber or Lyft accident will depend upon whether the driver is logged on to his rideshare company’s app, and if so, whether the driver is waiting for a ride request or actively giving a ride. The Texas Insurance Code Chapter 1954 requires rideshare drivers to carry specific insurance policies that provide coverage regardless of their activity, so you will need to ascertain a few facts before you determine your course of action. Was the Driver Logged on to the Rideshare App? 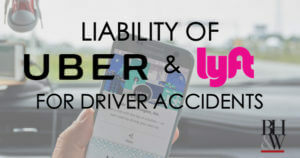 If the driver was NOT logged onto the ridesharing app, then the driver’s personal insurance will be responsible for covering the driver in the event of an accident. There generally will not be any ramifications for the rideshare company, and no real reason to pursue any claims against them. Of course, we would need many more facts to determine the exact course of action. If the driver is logged on to the rideshare app, you will need to determine whether they are in-between rides, or actively participating in a ride. Was the Driver in-between Rides When the Accident Happened? This is the largest gray area in the new insurance law. While coverage is required, there is no requirement regarding who must cover the driver. Many insurance companies exclude coverage on drivers using their personal vehicles for ridesharing purposes, and rideshare companies are hesitant to provide the additional coverage since they are not required to by law. Ridesharedashboard.com lays out the coverage options in Texas, pointing out that currently, only GEICO and Farmer’s offer coverage to both Uber and Lyft drivers, while MetLife will cover Lyft drivers only, and Allstate is currently working on their rideshare policy. Nonetheless, the Texas Insurance Code Sec. 1954.052 requires rideshare drivers to be covered by a 50/100/25 policy. This means that they must be covered up to $50,000 for bodily injury or death of each person in an incident, $100,000 for bodily injury or death of a person per incident, and $25,000 for damage or destruction of property of others. This is a higher level of coverage than the standard 30/60/25 policy required for Texas drivers. This should not be an issue as drivers are required to notify their insurance provider if they are driving for a rideshare company. However, it will be very important to determine who is covering the driver in the event of an accident. Fortunately, there is a safeguard in Sec. 1954.054 that requires the rideshare company to cover claims in the event the driver’s policy has lapsed or does not cover the claim. If you find yourself in this situation, please get as much information from the driver as possible and contact an attorney immediately. 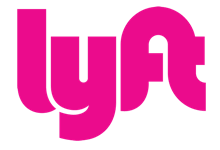 Lyft Provides: 50/100/25 coverage in the event a driver’s personal policy does not cover this much. Was the Lyft or Uber Driver Engaged in a Ride? The term “engaged in a ride” can mean two things: either the driver was on his way to pick up a passenger, or the driver currently had a passenger in the car. If the driver involved in the accident was currently engaged in a ride, that driver MUST be covered by a $1 million coverage policy according to Texas law. Recent legislative action in many states has pushed for this coverage, influencing these companies to adopt these insurance policies. Should you be involved in an accident with an engaged rideshare driver, whether as passenger or third party, this insurance should provide coverage for damages caused by the driver. What Should You Do if You are Involved in an Accident with a Rideshare Driver? Get to a safe place and call 911. Safety and health are the first priority. Take pictures of the accident and surroundings. Get the names, phone numbers, addresses of everyone involved and any witnesses.